Is your practice website generating a healthy flow of new patients? If not, don’t worry. There are plenty of online marketing initiatives you can get started on today. From blogging to social media and email marketing, consider these eight ways to grow your online presence. In the online world, your website is the medium in which digital strangers become new patients. It’s the online face of your practice and a critical component of your chiropractic marketing strategy. That’s why it’s crucial that your site is up-to-date and built to convert new patients. Ensure that your site is mobile-friendly, responsive across all types of devices. Make sure your content is professionally written from the patient’s point of view. Add professional photos of you, your staff, and your office. Add calls-to-action that encourage website visitors to schedule an appointment. Some of these updates can be made quickly. But if your website is over five years old, it might be time for a full redesign. 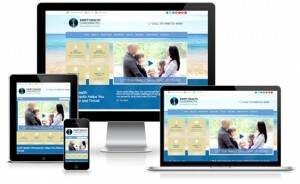 Increased competition, new design trends, and changes in user behavior underscore the importance of having an up-to-date chiropractic website design. Patients see your website as a reflection of your clinical skills. Don’t let them think your clinical skills are outdated just because your website is. For your practice website to be found by potential new patients, it needs to be optimized for search engines. After all, Google is the primary source of new patients. There are many elements of an effective search engine optimization (SEO) plan. Of course, it’s important to know which tactics are still relevant and which tactics are potentially damaging. As long as you’re focusing on an optimal user experience, while performing ethical SEO strategies, you will be rewarded with higher positioning and more web traffic. This, in turn, more new patients. Whether it’s online or offline, building your brand is often the first step to marketing your practice. While it might seem like a minor detail, your logo is an important visual shorthand for attracting the types of patients you enjoy serving. If your logo doesn’t reflect your practice personality, it might be time for a redesign. If it’s dull or dated, you’ll want to go back to the drawing board. Remember, consistency in branding is important to make your practice recognizable and trustworthy. So be sure to carry the new logo throughout all of your marketing materials. Among the more “up and coming” online marketing trends, social media can improve your practice’s sustainability. Facebook has become an integral platform for people to connect. That’s why it’s an effective tool for improving patient retention and stimulating referrals. Building a robust online patient community promotes top-of-mind awareness. Sharing photos, blog posts, and events keeps your patients informed about your practice. While social media isn’t your primary source for new patients (Google is), it’s a way to keep existing patients thinking about you. Seeing your social posts in their news feeds reminds patients that they need to schedule their next appointment. And loyal returning patients are your best source of referrals. Online patient reviews are more important than ever. More research is confirming the importance of a positive online reputation. In fact, nearly nine out of ten patients will trust an online review as much as they’d trust a personal recommendation. Respond to negative feedback: Criticism is part of running a practice. A thoughtful, professional response should be as well. Sure, a scathing review of your practice can stir up emotions. It’s tempting to ignore it. But when someone criticizes your practice on Yelp or Google, the worst thing you can do is to simply do nothing (read how to respond to negative online reviews here). Promote positive reviews: One way to secure a consistent flow of online reviews is through new patient surveys. Take, for example, the Perfect Patients New Patient Survey. After entering a new patient as a website subscriber, an email survey is sent out to the patient. If the patient gives positive feedback about the practice, they are prompted to leave a review on popular sites like Google, Yelp, and Facebook (read how not to solicit online reviews here). 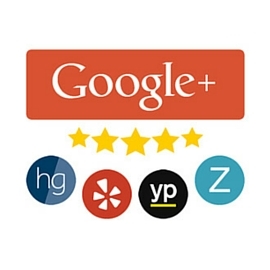 Google loves and rewards chiropractic websites that have unique, informative content. Answering patient questions with regularly added content shows search engines that your site is current and relevant. While you might add a new service page to your site from time to time, blogging is the preferable medium for educating patients about chiropractic. Not only can blogging boost your Google rankings, it shows current and prospective patients that you are an authority in the field and that you care about their health. Email marketing is an effective, low cost way to nurture patient relationships. Sure, one of your main goals is to get new patients. But remember, your current patients are the ones who refer you. By maintaining these relationships, you keep your practice top-of-mind throughout the year. Monthly newsletters: It’s safe to assume, most chiropractic patients have at least some interest in their health. That’s why a monthly newsletter providing health tips is a great email marketing initiative. Birthday greetings: Birthdays are a time of the year when we tend to think about our health. Sending an annual birthday greeting to patients shows that you’re thinking about them. See here how the Perfect Patients birthday greeting feature automates this process. Targeted campaigns: Organizing your patients into customized groups allows you to send targeted campaigns to specific segments of your patient base. For example, “tagging” all your cash-only patients would allow you to send a targeted campaign only to them. Check out the Perfect Patients email tagging feature here. If you’re anxious to gain a quick boost in new patients, consider pay-per-click (PPC) advertising. PPC is a form of online advertising in which you pay a fee each time someone clicks on your ad. In essence, it’s a way to “buy” visits to your site, rather than “earn” them organically through search engines. PPC services like Google AdWords allow advertisers to bid on ad placements for a particular keyword. For example, if your practice is located in Raleigh, North Carolina, you might bid for the search term, “chiropractor in Raleigh, NC.” To avoid the initial lull of waiting for your site to rank well organically, PPC can drive qualified web traffic the moment you launch your campaigns. Just be sure to vet your prospective PPC management company, because a poorly run campaign will quickly drain your monthly budget, while providing little or no result. Often the most difficult part of developing an impactful marketing strategy is finding a starting point. Keep in mind, if you don’t already have a patient-converting website, it’ll be difficult to gain much traction. 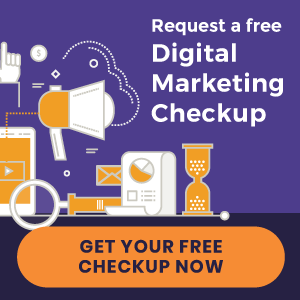 If your online results are underwhelming, check out our free 5 Factors of Digital Marketing Success eBook to learn more about the essentials of chiropractic marketing. « New websites launched | Maximal Health and more!